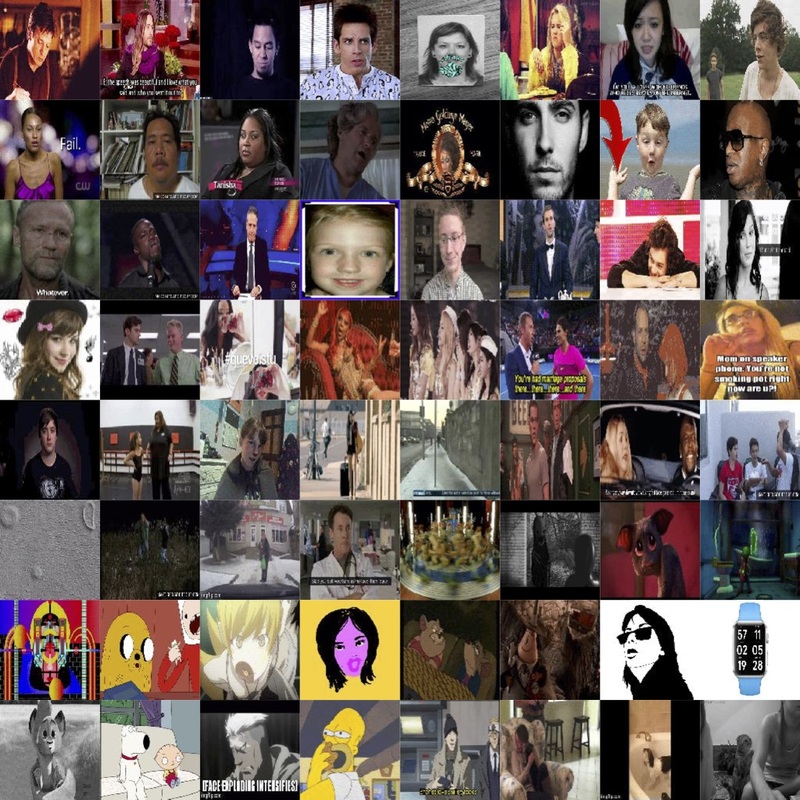 We proposed a novel super-resolution approach for GIFs, which uses two high-resolution frames (the first and last frames) as well as the low-resolution data to generate a high-resolution GIF. To validate this approach, we collect a new super-resolution dataset for GIFs. The experiments on this dataset show that the performance of our algorithm significantly outperforms the popular video super-resolution baselines while achieving at least 80 times speedup on CPU. Yizhou Wang, Zheng Shou, Shih-Fu Chang. We proposed a series of new web-based methods of demonstration for TAL problem, including snippet-level and frame-level demonstration. 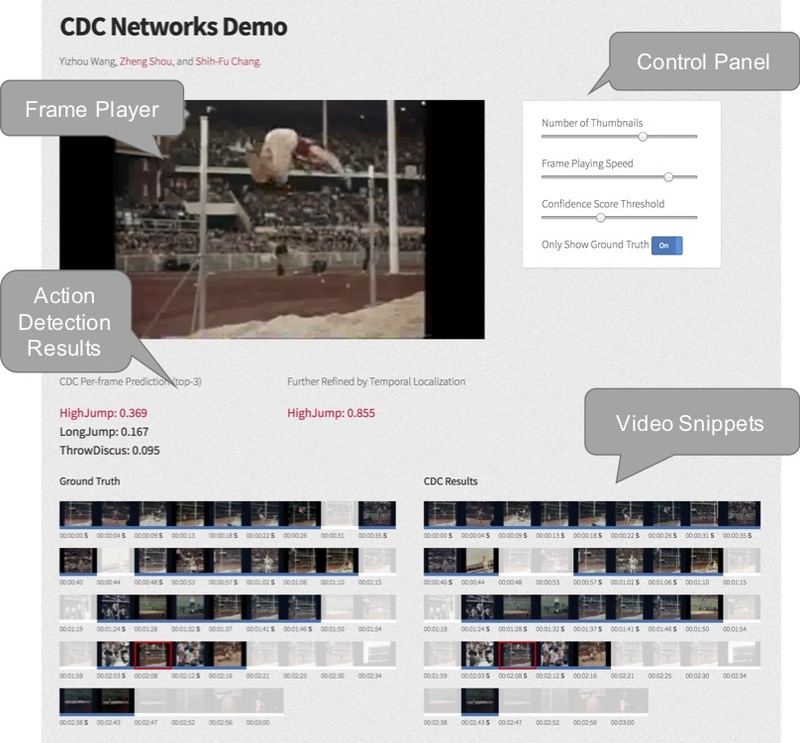 On the demo website, users can either upload video or select video from THUMOS'14 to processing TAL algorithms. TAL algorithm available: Segment-CNN and CDC Networks. The demonstration methods we proposed can give users TAL results clearly and effciently. Yizhou Wang, Zheng Shou, Shih-Fu Chang. Demo: Temporal Action Localization in Untrimmed Videos. NYC Media Lab. Sep 2017. Y. Liu, J. Yang, Y. HU, M. Zhao, Y. Wang, Q. Pan. A Multi-Objective Planning Method for Multi-Debris Active Removal Mission in LEO. AIAA Guidance, Navigation, and Control Conference. 2017. Y. Liu, J. Yang, Y. Wang, Q. Pan, J. Yuan. Multi-objective optimal preliminary planning of multi-debris active removal mission in LEO. SCIENCE CHINA Information Sciences. 2016.